Fall is in full swing in Seattle and in our household. Last night we put a few logs in our wood stove and made a batch of our favorite spiced hot apple cider. 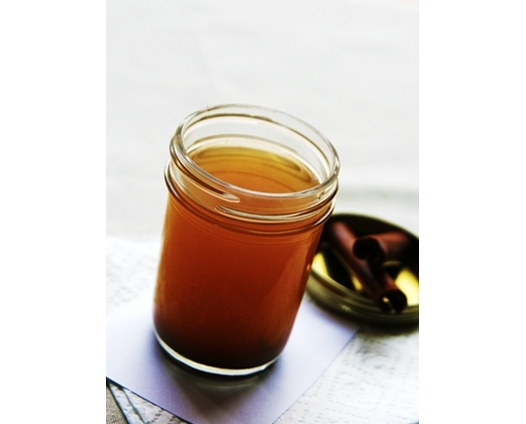 I love this recipe because its simple to make yet so good to drink. And for a grown up version, I poured a shot of spiced rum into my husband’s glass which really made for a a delightful warm Fall type cocktail. Anyway you have it, hot apple cider will warm your bellies with Fall goodness. Enjoy! Place all the ingredients into a large pot and bring to boil for 5 minutes. Reduce heat and simmer for 30 minutes. Strain cider before serving. Enjoy! « The Best Chocolate Chip Cookie Recipe EVER! 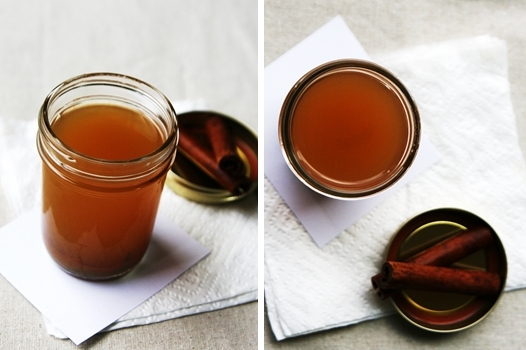 Spiced Apple Cider is one of my all time favorites. 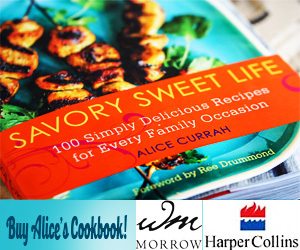 Love your recipe – it looks a lot like the one I make every year for Thanksgiving! I just throw all of the ingredients in my crock pot on low, refilling as necessary. 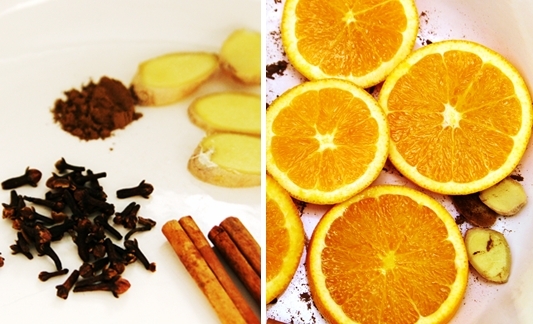 We’re on the same wavelength—I’m getting ready to post a recipe for mulled apple cider too. Just bought a big jug from apple picking. Nice addition of fresh ginger to yours. This is perfect for chilly fall days…which we are not having here in Florida at the moment! BOO! oh, that sounds so perfect! 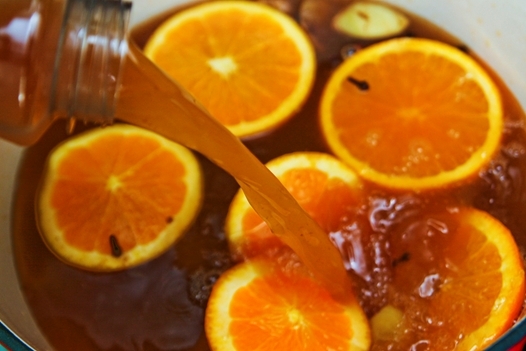 When we were tailgating in college we used to put cinnamon schnapps in hot apple cider. Mmmmm.